Look at Me!! 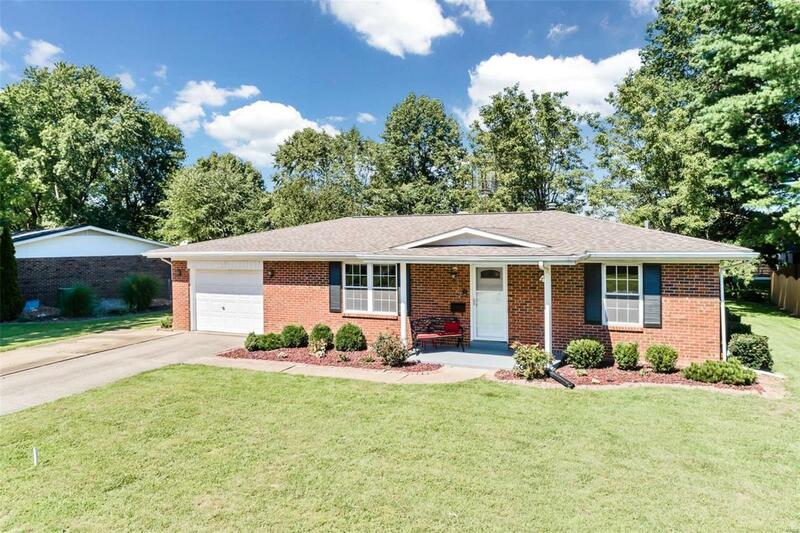 Move-in ready, stylishly remodeled brick ranch home offers flat yard, new flooring, spacious, bright living room and large dining room. 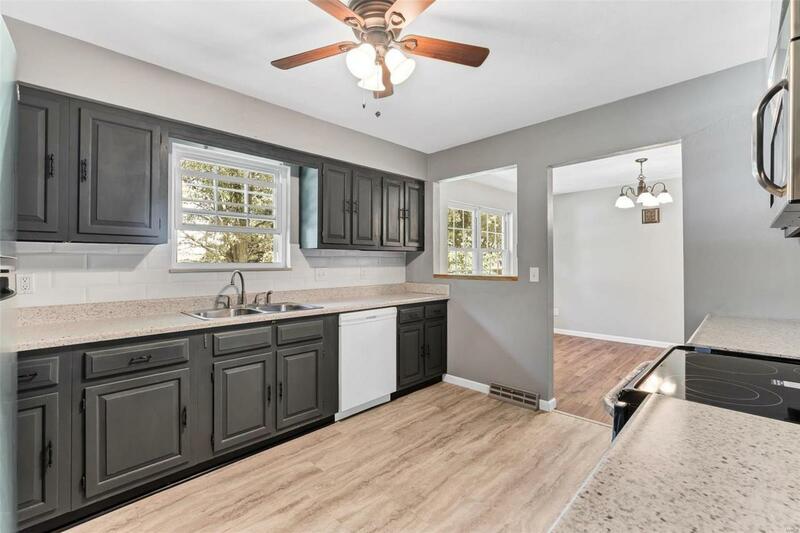 Kitchen boasts new countertops, new stainless steel appliances, new flooring, new stainless sink and faucet, and the gorgeous subway tile back splash pulls kitchen refresh together perfectly. Bath offers new surround from Bath Fitters, new vanity, new flooring, new faucets, and new toilet. Dining room offers darling vintage built-in cabinet, pantry, and overlook beautiful backyard. Main floor laundry offers convenience with sink/vanity and door to backyard. Dirty from mowing grass, playing outside, or the dog is wet and muddy? Enter into this area and clean up before going into rest of home. Basement partially finished with family room, bonus room (can be modified for 3rd bedroom) and 3/4 bath. 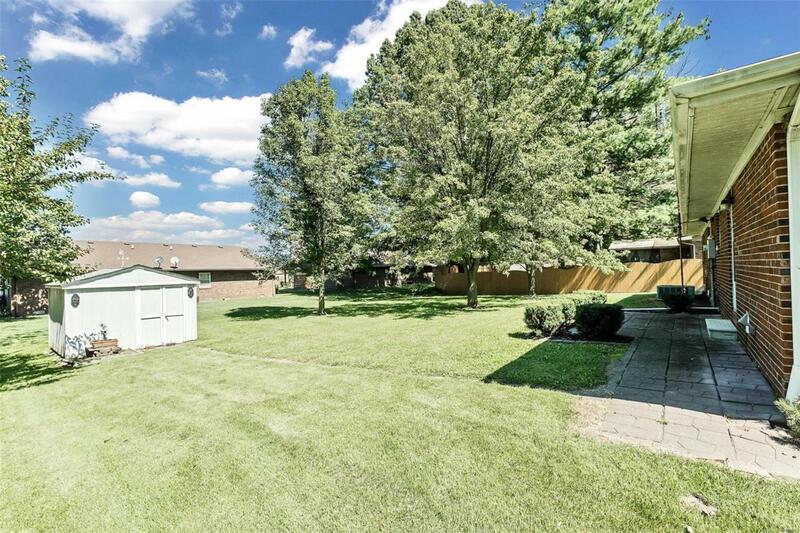 Backyard offers mature trees, patio, and utility shed. Newer roof and new water heater. 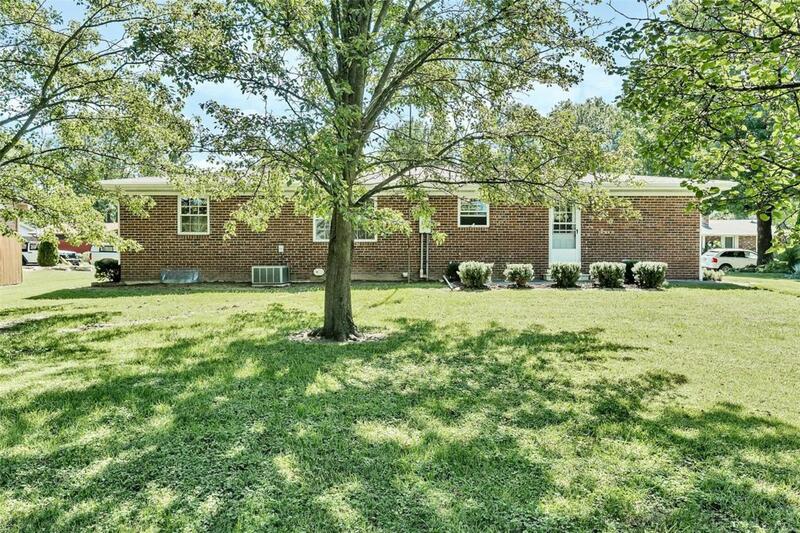 Not an investor flip but remodel to a beloved family home.